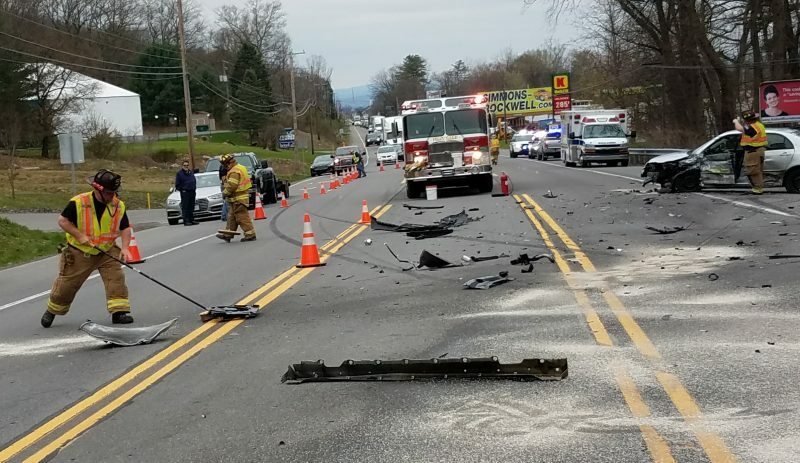 The driver of the Subaru Forester at right, Anita Gellert, 61, of Rochester, New York, declined treatment for minor injuries after her vehicle and a tractor-trailer loaded with 40,000 pounds of tropical fruit juice collided on Market Street and Route 554 in South Williamsport about 1:10 p.m. Thursday, according to borough Police Chief Robert Hetner. Both vehicles were southbound on Market Street when they collided at a curve, he said. The truck driver was Robert Dickel, of Conestoga, he said.